You can try these similar gifts instead. 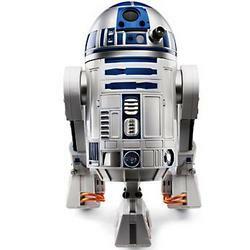 Motorized voice activated R2-D2 robot obeys more than 40 voice commands, navigates rooms and hallways and even plays tag using infra-red technology. Computers, Drones, Printers, Phones and everything in between. They may be Geeky but they're your Geek!